Importance of engagement through Social Media! 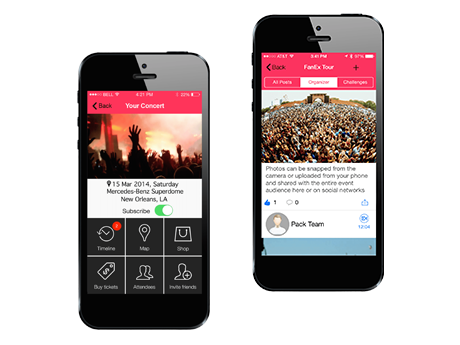 My App Center allows you to create any type of Social Media App Development. Social media app development potentially focuses on – like brand awareness, engagement, traffic, and signups, to name a few. From a business perspective, the niche of social media app development is one of the most promising markets. Of course, this segment is densely occupied with dominant players, but the rapid development of technology is constantly opening up new opportunities for the realization of new ideas and to make a social media app. To create a social network, it is necessary to understand that having a mobile application is a prerequisite for the successful app project. Across the board, people are spending more time on their Social Media apps. On Facebook, Snapchat, Instagram, and Twitter, Android users seem to create a social network app which makes it convenient to track all social media notifications. While social media app developer race against each other to stay on top, new and upcoming apps seem to pop up every day to cater to the various socializing needs of connected consumers. Interest in social media and instant messaging apps continues to increase, which means consumers are constantly looking for niched platforms for more interactive and real-time conversations. Since audiences of all ages, some platforms resonate with certain demographics more than others. While some apps are for more personal networking and socializing, others are used extensively for professional and business purposes. Make a social media app from scratch or as an add-in to the existing web version. My app center can work with any option. Most of the time and cost are related on the backend. Being a social media app developer is no easy task. But we do believe that good ideas, our experience, and the strong professional team are enough to create a successful project that would reach your business goals and bring truly loyal users.